Pokkt.com, which provides an alternative mobile video advertising and monetisation platform for app developers, has raised $5 million in post-Series A funding from Singapore-based VC firm Segnel Ventures, Shinji Kimura and Sundar Chanrai. Existing investors JAFCO Asia, SingTel Innov8, Jungle Ventures and K Ganesh also participated in this round of funding, Pokkt.com said in a press statement. Mumbai-and Singapore-based Maiden Marketing Pte Ltd, which owns and operates Pokkt.com, will utilise the funds raised to strengthen technology infrastructure, improve its product offerings and enhance headcount, Rohit Sharma, founder and CEO, said. Pokkt is an alternate mobile monetisation platform that helps digital goods owners in monetising users through an advertiser-funded model. The company claims it allows digital content publishers to convert non-paying users into paying users. Pokkt provides software development kits (SDKs) to publishers. The SDKs are available on Android, iOS and Windows platforms. Pokkt claims to reach out to about 40 million unique users every month. Pokkt SDK is said to be integrated with about 150 established game developers in India, Indonesia, Thailand, Philippines and Vietnam. Pokkt competes with the likes of nMobi, Tapjoy and Google. 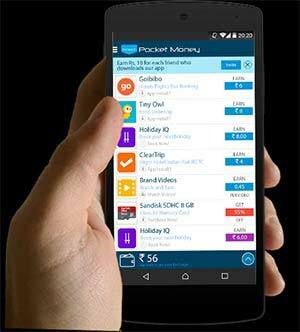 Last year, the startup had launched Pocket Money, a B2C platform that allows app developers to acquire customers in a targeted way. Pokkt was founded in July 2012 by Rohit Sharma, former CEO of Reliane Entertainment, along with Vaibhav Odhekar and Sharad Ingule. An MBA from UK's Lancaster University, Sharma had earlier founded Wopshop, an e-commerce venture for toys. Before that, Sharma was involved with Zapak.com and Indiatimes.com. In July 2014, Pokkt had secured $2.5 million in Series A funding from Singapore-based VC firms Jafco Asia and SingTel Innov8. Existing investors Jungle Ventures and K Ganesh, a serial entrepreneur and co-founder of Portea Medical, also participated in that round. In October 2013, it had raised $500,000 in seed funding from Jungle Ventures, former Indiagames COO Samir Bangara and others. Segnel is a Singapore-based VC firm that supports entrepreneurs within the South Asian and South East Asian region. It provides seed and venture stage funding to emerging firms.